We bring people together around global brand defining moments. 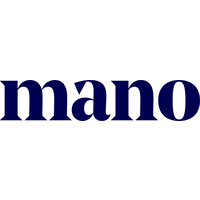 Mano is a specialist agency based in Copenhagen – we work with brands and content creators around the world to bring big ideas to life in a big way. We live in the gap that too often exists between creative work and media execution in big branding and content projects – and we bridge that gap with unique insights, powerful strategy and the fabric of orchestration to execute global projects with multiple teams across multiple borders. We provide the architecture for unleashing the full potential of powerful creative ideas, to attract the audience it deserves – through positive content experiences that drive long-term engagement and expectations with consumers over time. We work closely with some of the best creative agencies in the world, and the best builders of media, content and technology, to co-create integrated fit-for-market strategies, that reap and fuel the true power of an idea or a piece of content. Our work is anchored in a deep understanding of the media landscape and an innate iconoclastic approach to what it can do for brands and content. We push the boundaries for how creativity can be applied through media, data and technology – and we do that through a creative approach to how you engage consumers in the digital-social age.